Majorca travel guide: Things to do, weather, flights, beaches, nightlife and information about Majorca. Located in the Mediterranean Sea, Majorca is a popular European holiday destination with beautiful, sunny weather all year long. Majorca, spelled Mallorca in Spanish, is the largest of the Balearic Islands archipelago, and the island has something to offer for everyone's interests and tastes. Known for its amazing beaches, great outdoor recreation, affordable restaurants, and its vibrant, unforgettable nightlife scene, your holiday to Majorca is certainly something that will stay with you forever. Travellers to Majorca will find a ton of white sandy beaches with clear blue water. Some of the best beaches include Cala Sant Vicenç on the northwest coast and Pollença Beach in the northeast. Fomentor Beach is one of the most famous spots on the island, and it is an excellent place to learn how to surf. Sa Coma Beach, meanwhile, is a great family-friendly destination. The island is home to a number of impressive historical sites. Located in the capital city of Majorca, Palma de Mallorca, the Cathedral of Palma was first built in the 13th century and is a must-see destination. On the northwest of Palma is the Bellver Castle, a 14th century construction built in a rare circular style. Inside the Bellver Castle you can enjoy an exhibition of the history of Palma and, going to the top of it, you can be delighted with the fantastic views of Palma and its Bay. Golf lovers will enjoy playing a round on one of the island's twenty-three scenic courses. 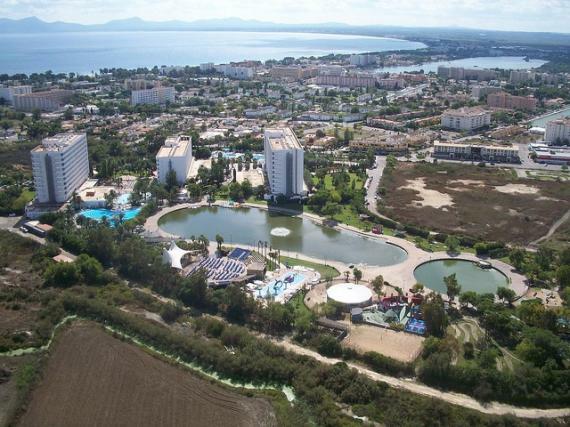 Majorca is also an ideal spot for watersports such as surfing, scuba diving and snorkeling, and many schools are available offering lessons. 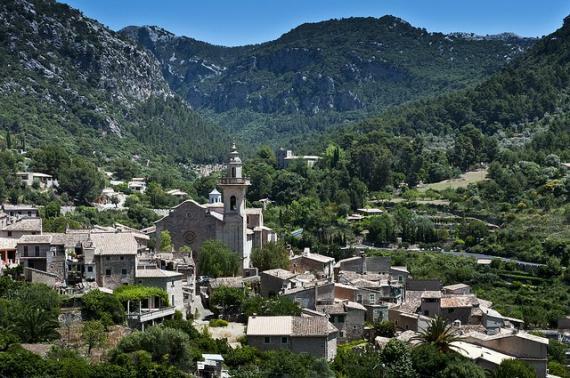 The Serra de Tramuntana, meanwhile, offers some top-notch hiking trails. One of the biggest tourist attractions on the island are the Coves del Drach, four amazing caves that are open to the public. Majorca is a popular destination for cyclists because of its great mountain terrain that caters for a range of cycling abilities. Cycling teams frequently train on the island, but less experienced cyclists can rent bicycles (electric and non-electric) and try out some of the easier roads. 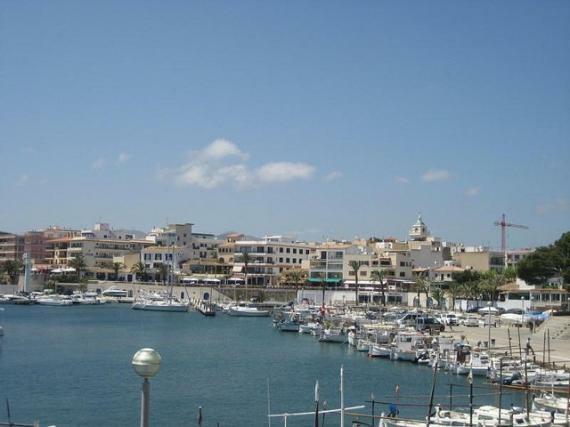 Majorca offers top quality Mediterranean cuisine at a range of prices. Many of the best eateries can be found around the major resorts or in the capital city, Palma. The Tapas Club, located in the neighborhood of Portixol, serves some of the best tapas on the island in addition to delicious Spanish mussels. The Cappuccino Grand Cafe, meanwhile, is a great place to have lunch or dinner in a distinctive island setting. On the other hand, if you wish to sample some authentic Majorcan cuisine, La Bodega located in La Rambla is the perfect place to be. There is also a special tour taking place every Tuesday in the old neighborhood of the city that is La Ruta Martiana, where a large number of bars and restaurants offer tapas and pinchos when you buy a drink. One of the most famous places of La Ruta Martiana is probably the Molta Barra Restaurant, which offers a relaxed and alternative ambiance. For such a compact island, Majorca is home to a surprisingly high number of fantastic bars and nightclubs. Palma is the best bet for those seeking a fun night out, Majorcan style. The popular club Pacha is located close by to the port of Palma and is a lively place where party-goers can dance all night, whereas Mambo Playa hosts live music and is the perfect location to watch the sunset. Obviously, for those looking for more of a wild night, head to the infamous Magaluf for an unforgettable partying experience. : Since Majorca is such a popular tourist destination, there are regular flights to Palma Airport from many major European airports. The Son Sant Joan International Airport (Palma Airport) is one of the largest airports in Spain. From the UK, France and Germany plus many other airports throughout Europe, there are lots of good deals on flights to Majorca, which can be found by visiting airline websites etc. However, depending on the time of the year and how many days beforehand that the flight is booked, it can be a little expensive. 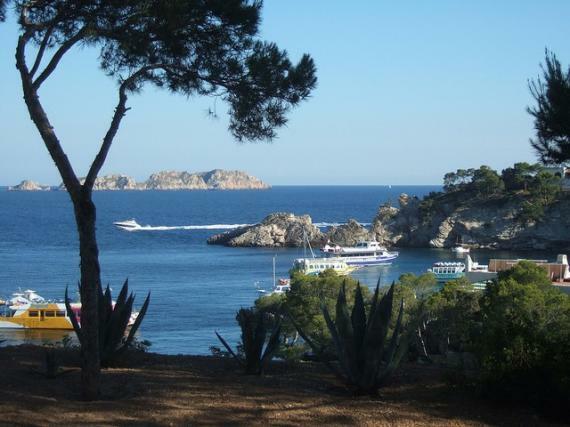 Cruises also stop at the island relatively frequently, as well as a ferry service from the nearby islands of Ibiza and Menorca, for those who wish to do a bit of island-hopping! 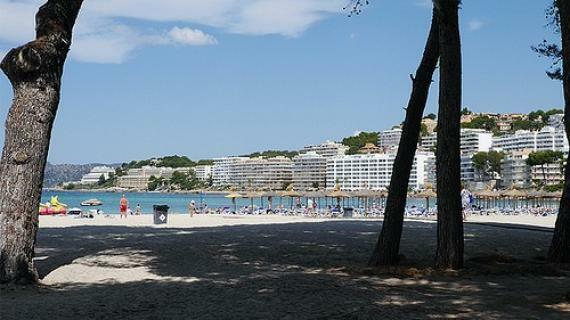 Once on the island, visitors will find plenty of buses to Palma or the major resort areas, and there is also a train service from Palma Train Station to the main towns in Majorca. Find information about selected Hotels, apartments and rooms in Majorca and 5 star hotels in Majorca to choose the perfect place for your accommodation.